Save on your next set of wheels for your MINI with these Genuine MINI Ronal wheel and tire assemblies. Genuine OEM MINI wheels ready to bolt up to your car are the fastest way to change your look or replace those old tires without a trip to your local tire shop. How to figure out options & packages? 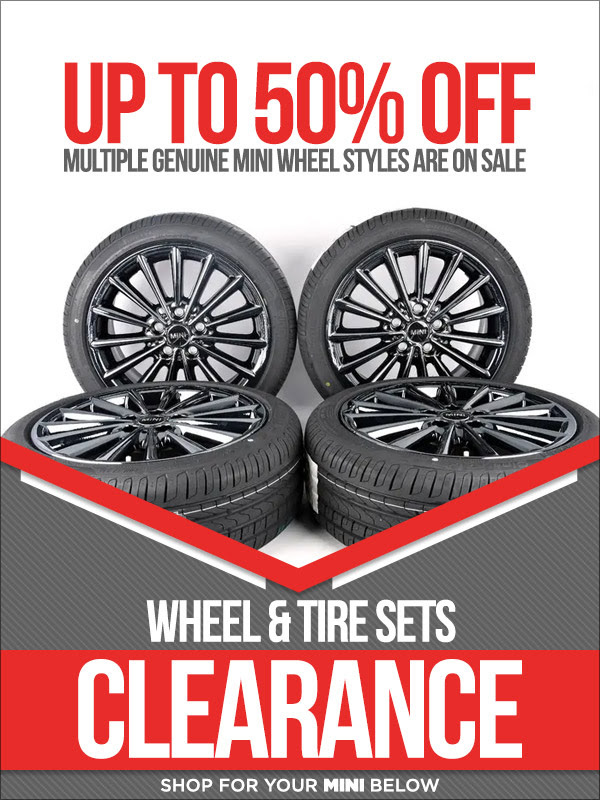 Quick Reply: Up to 50% Off Genuine MINI JCW Wheels and Tires Packages!